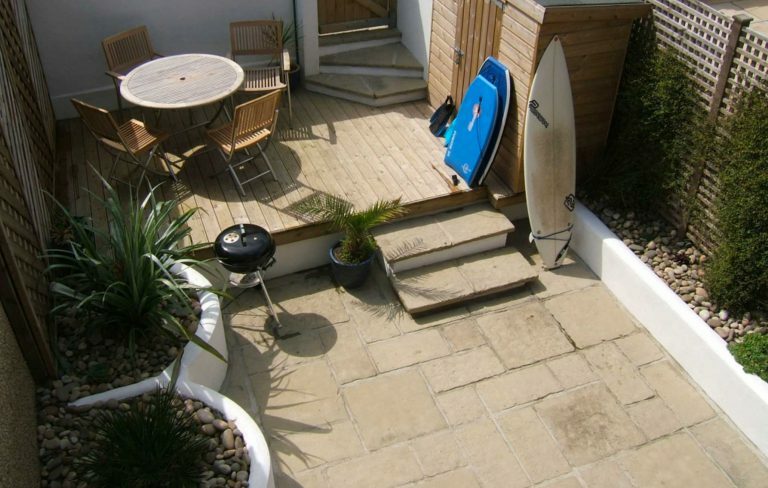 Beach Break is a stylishly furnished town house which sleeps 5. 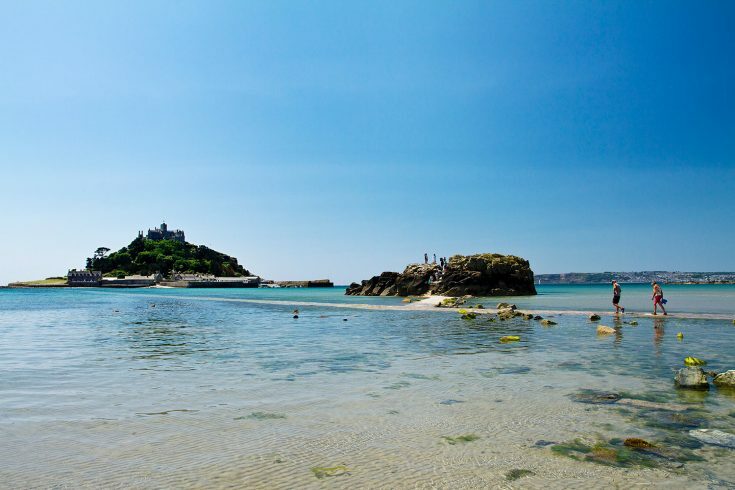 It is situated above Porthmeor Beach, with views across St Ives Bay to Godrevy Lighthouse and beyond, and west to Man’s Head and Clodgy Point. 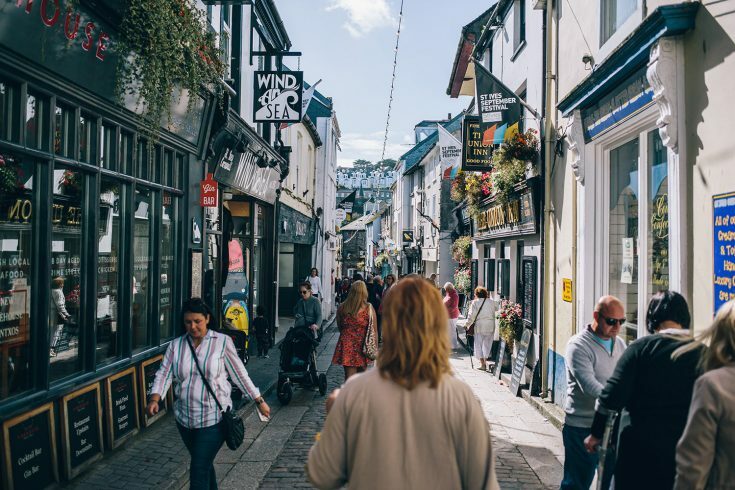 It is only a two minute walk to the beach and a few minutes more to the harbour, shops, restaurants and galleries, Tate St Ives being the closest. The accommodation on the ground floor comprises an entrance porch, reception hallway, lounge which opens into the dining room which in turn opens through to the modern kitchen with utility area adjacent. Upstairs there are three bedrooms, a shower room with toilet and a bathroom. 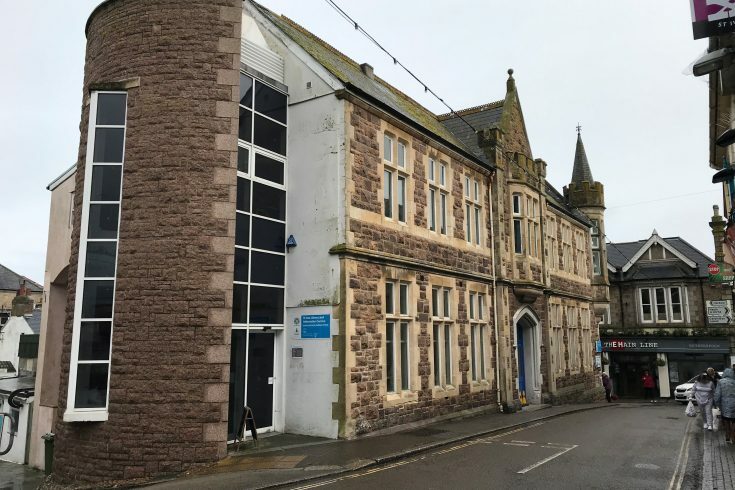 To the front of the property, there is an attractive decked courtyard area with balustrade surround; ideal for watching the often spectacular sunsets. To the rear there is a sheltered courtyard which was professionally landscaped in 2007 and has raised plant beds, garden furniture, BBQ & small shed for the beach/surf gear. The living room is a very light, airy room. It is simply furnished in a contemporary style. Restored floorboards, rugs, leather sofas and halogen lighting make a very comfortable space in which to enjoy the stunning views. There is a flat screen digital TV and DVD player. There is a small library of books, DVDs and local information and a few games. The dining area has a modern solid oak table, bench and chairs and comfortably seats six. The oak side board houses the CD/radio stereo/Ipod Sound Dock. The kitchen can be entered from the hallway and from the dining area. It has a newly fitted kitchen with Bosch integrated gas hob, electric double oven, a large Liebherr fridge with freezer, dishwasher and microwave. It is well equipped to meet any level of self catering needs. From the kitchen you enter the Utility which houses the combi boiler set to give hot water on demand, a washing machine and tumble dryer plus additional cupboard storage, worktop and sink. 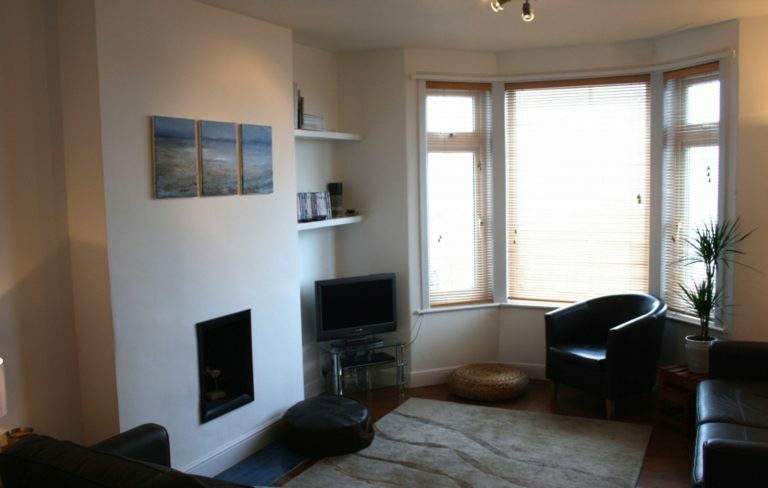 There are three bedrooms, a double and a single room both with fantastic sea and coastal views, and a twin bedded room. Both the double and the twin room have contemporary furniture comprising wardrobe, chest of drawers and bedside tables. The single room has a comfortable bed, a fitted wardrobe and chest of drawers. A travel cot is available for infants under 3 years of age. The beds are all of good quality and are prepared for you on arrival with duvets and attractive bed linen. A beautifully tiled bathroom with high quality white suite, comprising Villeroy & Boch hand basin & toilet & bath with Hans Grohe shower/mixer tap. There is also a separate shower room comprising a tiled Matki shower enclosure, Villeroy & Boch hand basin and toilet. There is private parking for 2 cars immediately opposite the house. The parking area is shared with guests at Dream Wave House.